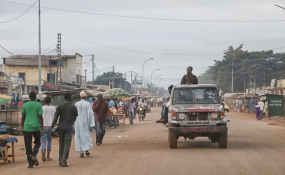 Bangui — A LONG-AWAITED peace agreement, brokered by Russia, between the government of the Central African Republic (CAR) and 14 armed groups, has at last taken effect after the final signatories inked the document. The breakthrough agreement enhances Russia's prominence as a peacemaker after the world's largest country by size played prominent role in the negotiations. It is the eighth attempt in nearly six years to bring peace to one of the world's poorest and most unstable countries. This week, African Union (AU) Peace and Security Commissioner, Smail Chergui, told media, "We want to thank the Russian Federation for their participation in this process."